In a follow-up to an earlier report about the probability of a White Christmas in the US, the NOHRSC Snow Analysis map shows that as of December 25, 2008, over half of the us (53%) is blanketed by snow (click map for a larger view).Â A sequence of strong winter storms over the first three weeks of December helped create a healthy snow-pack over much of the northern tier of states, while many abnormally strong storms helped spread some relatively rare snowfalls over the mid section of the country. 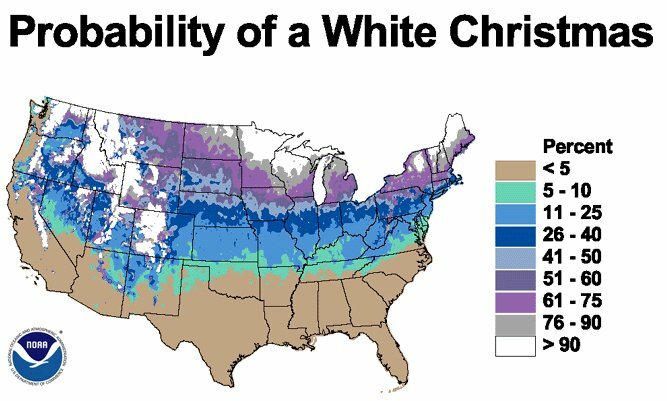 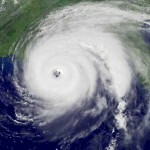 When compared to the 30-year probability of a White Christmas, it is evident that many regions that have relatively low odds of a White Christmas are in fact enjoying one this year.Â These regions include much of the middle of the country in a swath extending from Kansas and Missouri stretching into Northern Ohio.Â Additionally, the costal areas of western Oregon and Washington areas traditionally enjoy only a 10-20% chance of seeing snow on the ground on Christmas Day but recent strong winter storms have blanketed the Pacific Northwest in white (see more on Seattle’s snowy road woes). 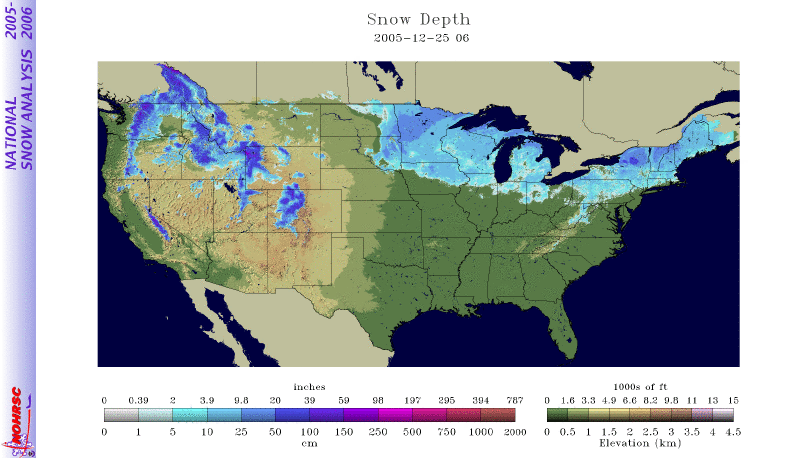 This is a significantly larger area covered by snow than in many previous five years. 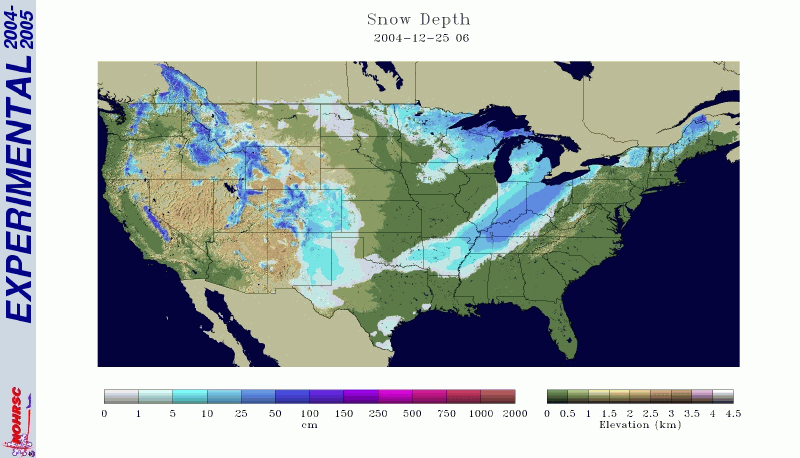 The NOHRSC has been plotting this snow analysis map since 2003 and 2008 ranks as the snowiest thus far. 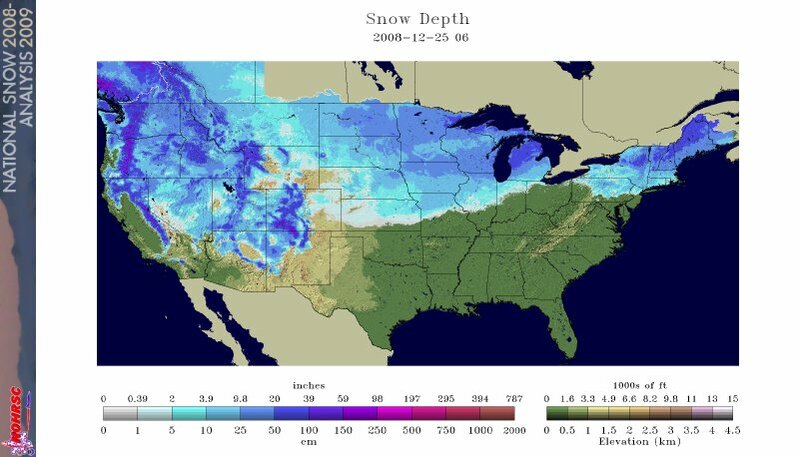 See the maps below for the comparative snow cover for Christmas Day of 2003 through 2007.Â Click each map for a larger view. Seattle refuses road salt, roads snow-packed "by design"